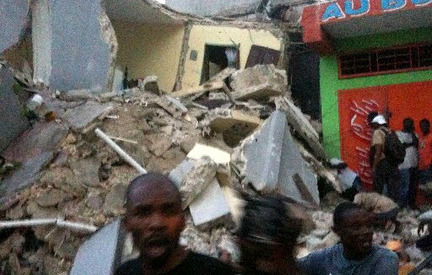 A teenage girl was rescued alive from under a house in Port-au-Prince on Wednesday, 15 days after Haiti's devastating earthquake, French and Haitian rescuers said. She was severely dehydrated and appeared to have a leg injury, they said, Reuters reported. "I don't know how she happened to resist that long. It's a miracle," said rescue worker J.P. Malaganne. He said the girl was happy, shocked and crying. She was found in a house near a professional school in Haiti's coastal capital, devastated by a January 12 earthquake.